The Bay Club is holding a special Dinner and a Movie night at the Golf House restaurant in celebration of our most accomplished member, Peter Uihlein.Â In rather convincing fashion Peter won the 110th United States Amateur Championship at Chambers Bay this past summer on his 21st birthday. 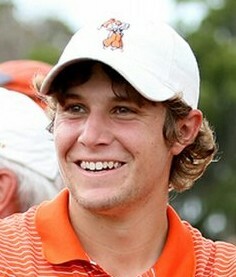 As a result of his victory, Peter received a coveted invite to the 2011 Masters! Members will gather to watch his U.S. Amateur victory as they prepare to chair him on at the Masters Tournament in Augusta on August 7 â€“ 10.Â Â Chef Mercer and his team will prepare a buffet dinner to be served prior to the viewing of the final round. Peter was recently featured in Golf Magazine. To view the full article, please click here. 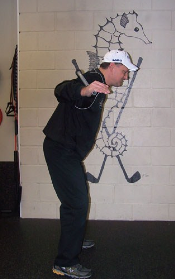 Dave Maloney, Fitness Director, Bay Club at Mattapoisett offers this months golf exercise of the month, “Spine Angle Turns”. One of the most common swing faults shared by inconsistent golfers is coming out of your spine angle or loss of posture. 1) Place one of the padded bars behind your upper back so it is crossing your shoulder blades. 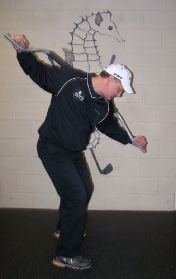 2) Now maintain your spine angle while you are turning into your backswing. If you are coming out of your posture, the padded bar will be almost parallel to the ground at the top of your backswing.